Celebrate the simplicity and joy of a carnival with the Carnival Monkey Poster. A cute little monkey hangs by a wire under your event name, with plenty of room under the big top for your event information. 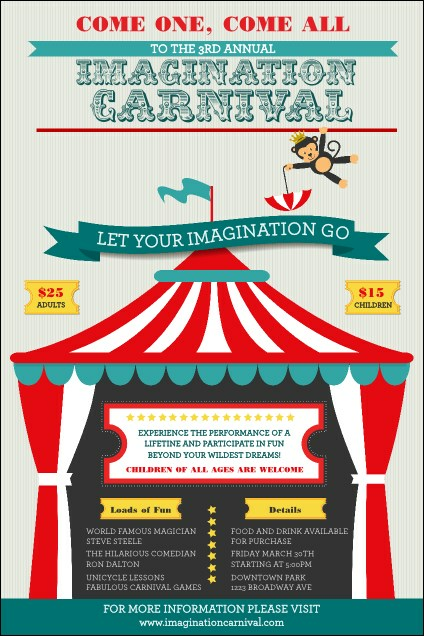 This fun and friendly poster template perfectly promotes your fair, circus, or carnival!